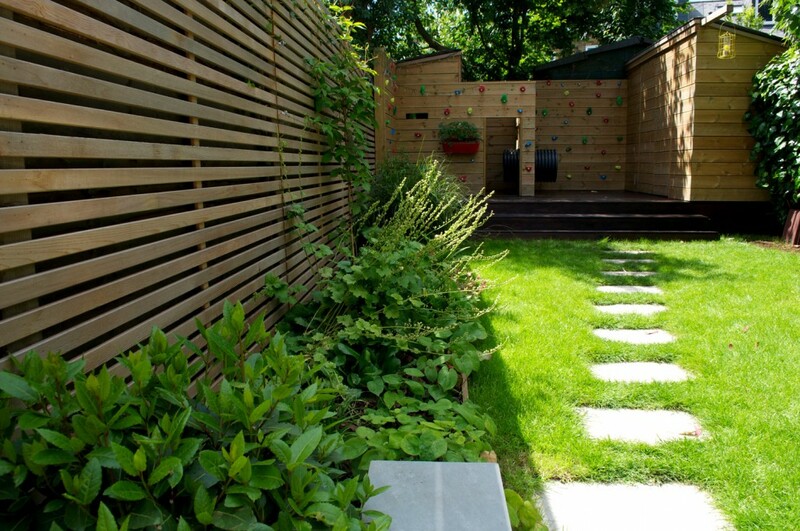 Award-winning garden landscaping in Strand on the Green, Kew, W8. 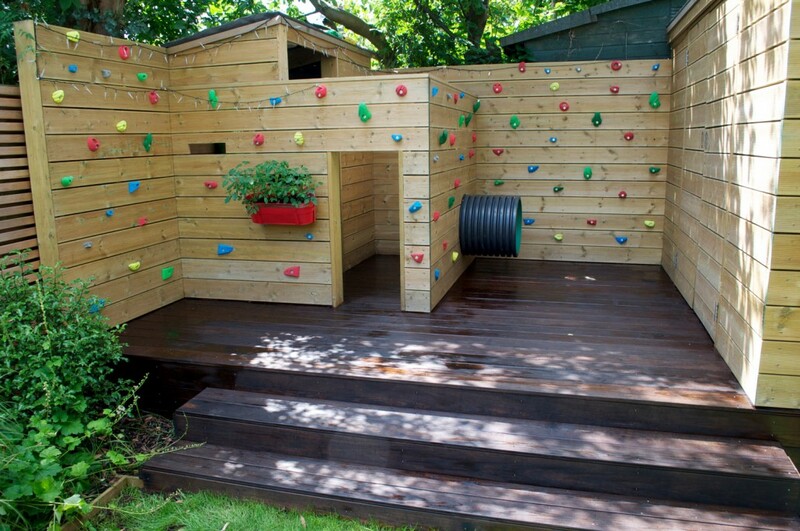 Materials: Kebony, screw less decking, cedar trellis, Cedar batten clad fencing, softwood deck boards for cupboard / den / climbing wall, quartz ivory stone wall cladding, grey riven sandstone, water wall, stainless steel internal waterfall reservoir, Collingwood satin black lights. Brief: The house is semi-detached, Victorian and situated in a conservation area close to Kew garden. 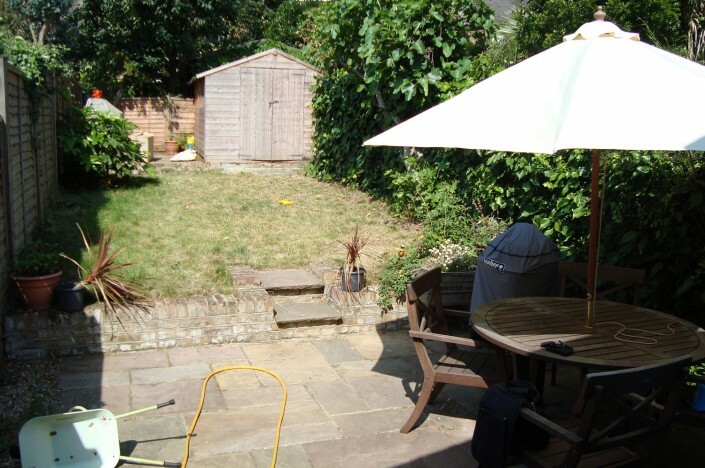 The back garden was a very uninspired space, dominated by a large brown shed. It was very bland with tired planting and lawn area. 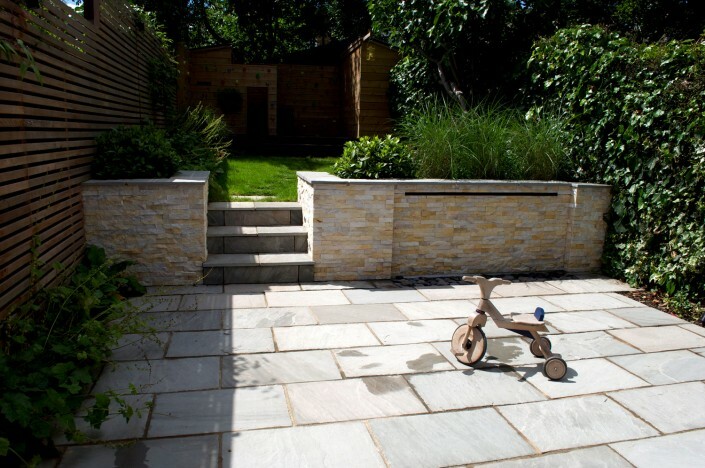 The clients were using their outdoor space but wanted to get so much more functionality out of it. They wanted a private retreat away from the hustle and bustle of City living. 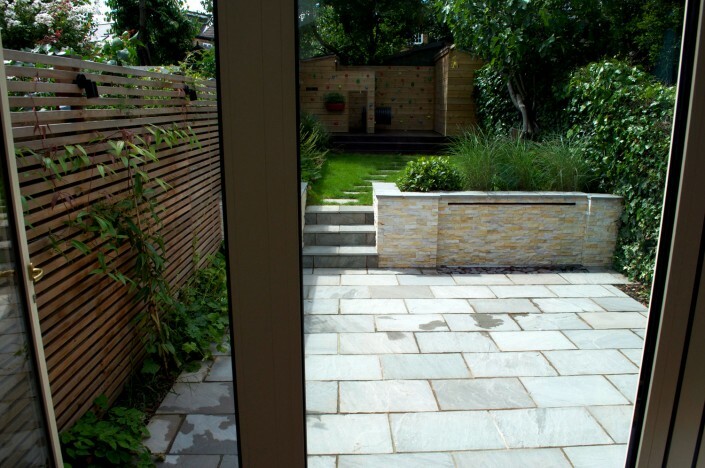 The garden had to be low maintenance and contemporary. Entertaining friends and family was crucial to the design. 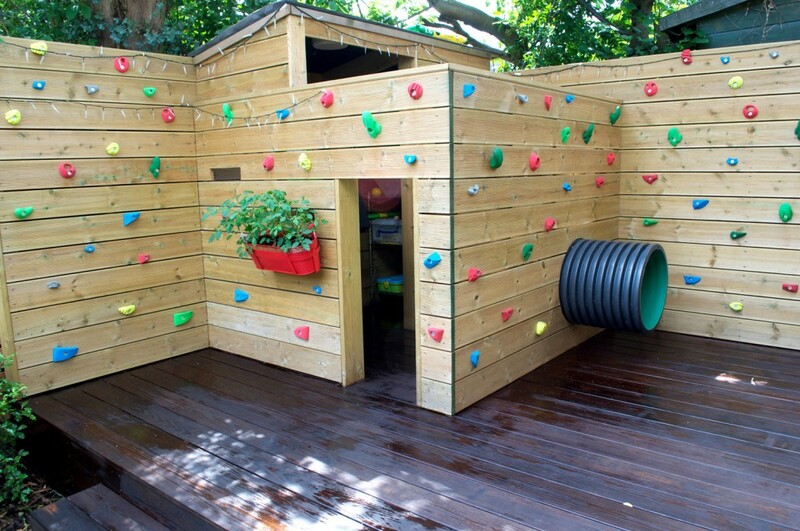 They were also keen to create a fun and special place for their children. 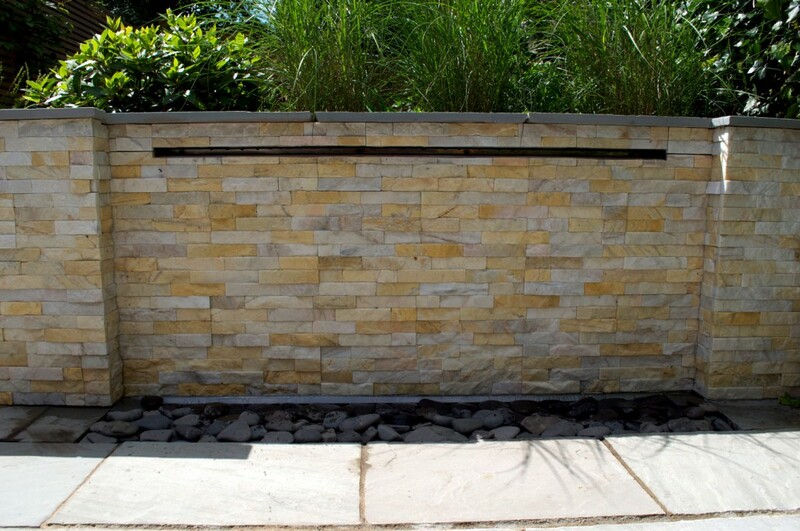 The clients really wanted a water feature and had their heart set on a water wall, wishing to drown out the drone of distant traffic, enhance the tranquillity of the garden and create an eye-catching focal point. 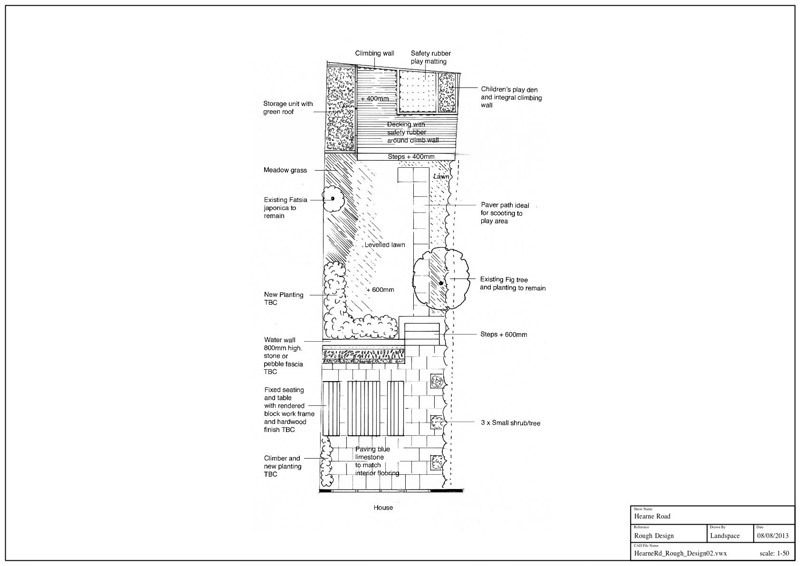 The garden’s initial layout was in three sections sloping up from the house: a raised paved area at the back with shed, sloping lawn in the middle and patio by the house. 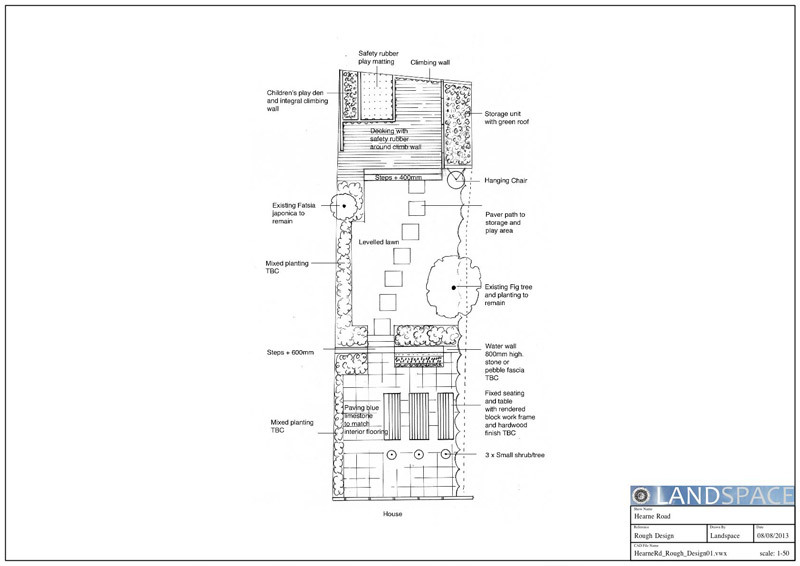 The clients wanted a garden that had a smart, informal Ibiza/ Mediterranean influence but not too minimalist. They wanted an area where adults could relax and a play area for the kids. They also required much needed storage. 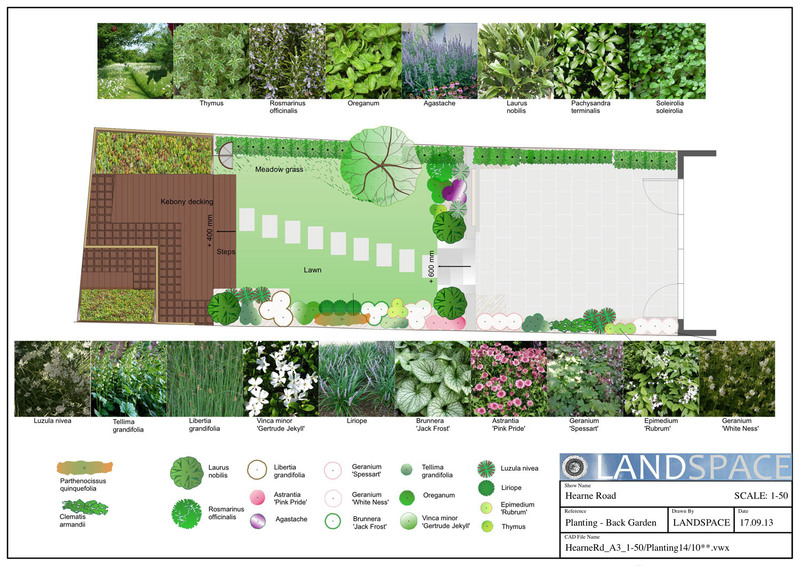 Our scheme proposed to keep the three areas with the two terraces in place. A decked area, climb wall and storage was constructed at the end of the garden. The sloping lawn area was levelled, raised to a slightly higher level and retained. 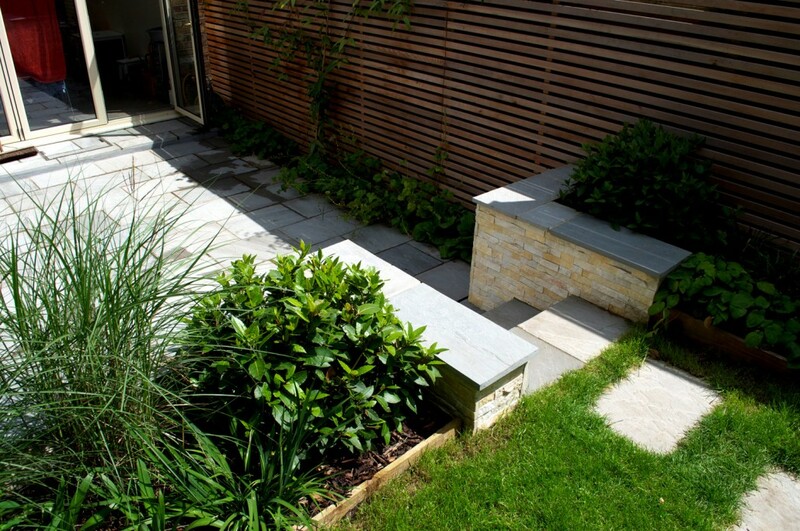 The existing patio area was extended and the steps repositioned. A stone-clad water wall was created and calibrated so that the flow of water had the desired ambient effect. 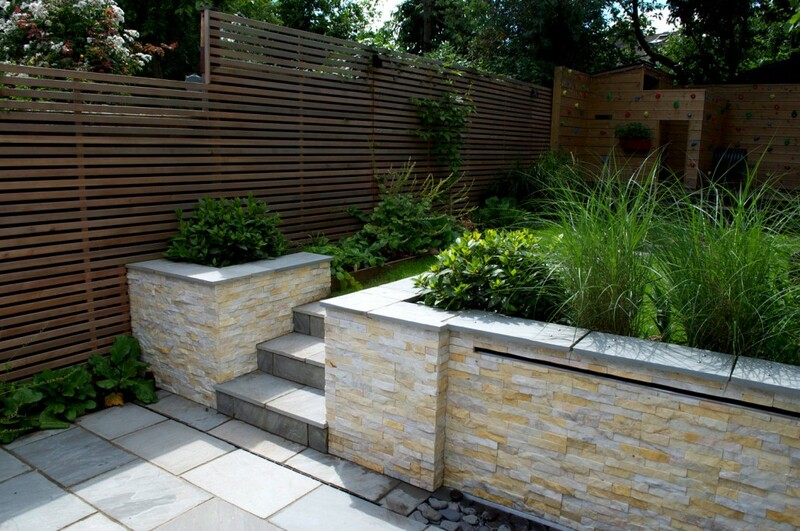 We won the 2015 APL Commended award for our ‘Hearne road’ project along with a Commended award for the water feature. We were also shortlisted for the same project in two other categories.